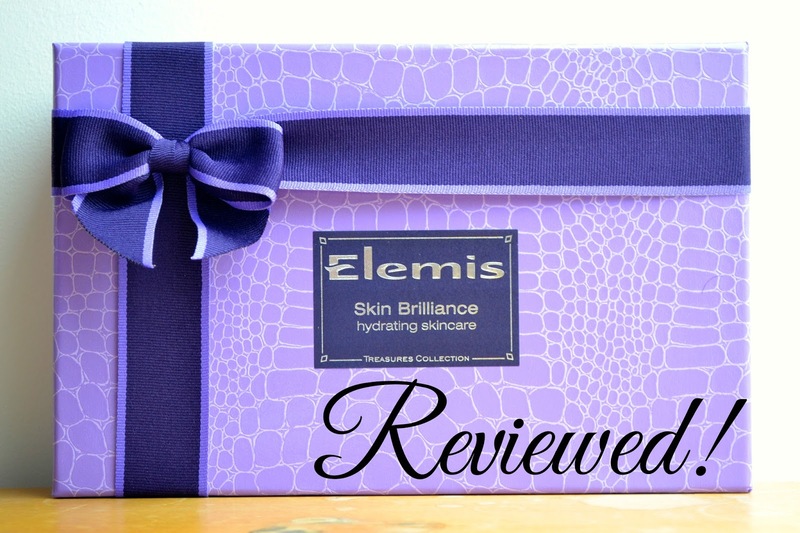 Today I have a long review for you of the "Elemis Skin Brilliance Hydrating Skincare Treasures Collection" that I've been trying out for a couple months now. It comes in a gorgeous box that I'm now using to store my crafty supplies and contains 4 of Elemis's hydrating products; a cleanser, a toner, a moisturiser and a scrub- a whole skincare routine in a box! Lets get the negative out of the way first, okay? This sounded so good when I first pulled it out of the box, I love roses and anything that has 'rehydrating' in the title makes my dry skin sing. Unfortunately, I really dislike this cleanser. It's an odd creamy slick consistency that you massage on then remove the 'excess' with a damp cotton pad. I tried it this way and hated the 'film' feeling on my skin they boast about. After that I just used it like a regular cleanser and my skin still hated it, it felt dry and tight as opposed to rehydrated. I feel I should also mention that when I first started using this I got an awful skin reaction, my skin felt like I had been burnt and it took a good two weeks of simple cleansing and witch hazel for it to go back to normal but I can't be sure it was this as I haven't had that reaction since. Repurchase? No, I don't think so. Then immediately onto the most positive! This is one of my favourite toners ever. I love Apricots, they're my favourite food and this smells exactly like them. I really look forward to this part of my skincare routine. This feels really good on my skin, I love toners for adding that extra bit of moisture after cleansing before I slap on my face cream and this does the trick. I'd prefer it to have a few less ingredients that I don't know how to pronounce but the fact it doesn't have alcohol in it puts it leaps and bounds ahead of most toners. Repurchase? Yes! Oh my goodness yes! A light everyday moisturiser that isn't too heavy and gets the job done? Sounds like a dream. I use this in the mornings under my make-up and my skin is still okay at night when I take it off. Unfortunately this doesn't come with an SPF meaning you have to put another product on top of this and for something claiming to be a day cream- disappointing. Repurchase? Maybe! This wasn't a bad cream overall, I just wish it had SPF. I like this exfoliator! It's a manual exfoliator meaning it has little gritty bits in it to remove the skin rather than being a chemical exfoliator which I prefer but it's not half-bad! It's does feel a little scratchy as the particles are in a cream rather than a gel but it does the job and makes my skin feel really smooth with no redness. I do sometimes feel like places are getting missed though because the particles are quite spread out in the cream. Repurchase? Probably not, I prefer using my Clarasonic or a chemical exfoliant for a more thorough job. Overall I'm glad I got to try these products and bar the cleanser, all of them are going to good use. You can't get this set anymore but you can get the products separately. The Rehydrating Rosepetal Cleanser is £21. The Soothing Apricot Toner is £21. The Maximum Moisture Day Cream is £38. And the Skin Buff is £27. 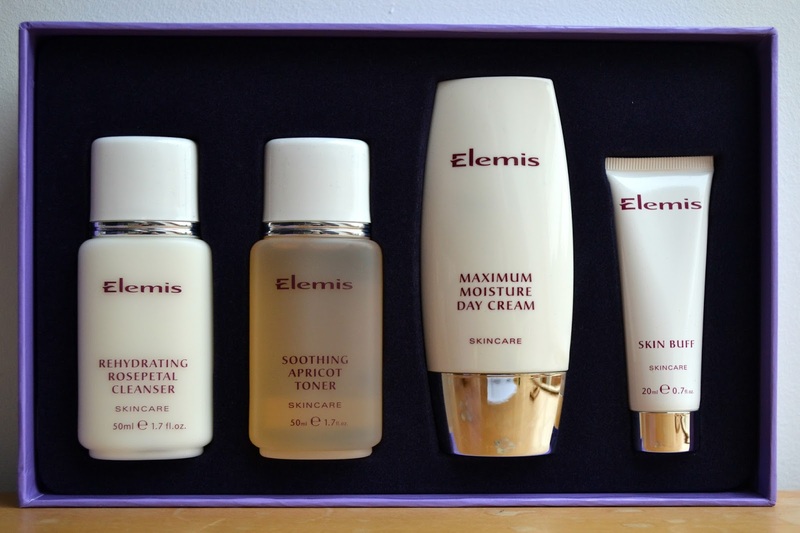 Have you ever tried these products from Elemis? What did you think? Fiction Friday: Books I Read in March! (Late) Fiction Friday: Shatter Me Buddy Read!